Pupa Wheeler, back in Culturama Senior Calypso competition. After much back-and-forth, Senior Kaiso Sub-Committee Chairman Keith Glasgow announced today that the judges’ decision as of July 28 will be unaffected and Sookie and Pupa Wheeler will remain in the competition. It had been previously been announced that the two contestants had been disqualified. 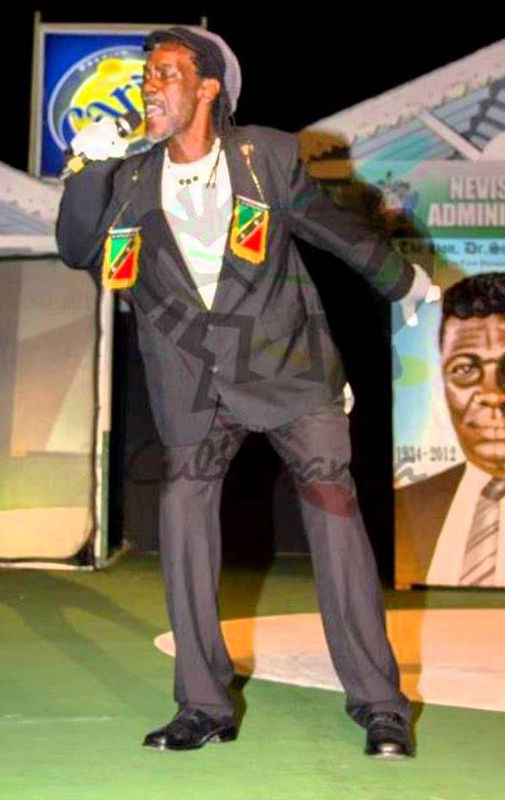 According to Glasgow’s statement, he received a complaint from Junior “Bad Man Polo” Newton and his Manager Curtis Liburd about renditions by the artistes known as “Pupa Wheeler” and “Sookie” in the Semi-finals of Senior Kaiso Contest held on July 28. He noted that after consultation with the Nevis Culturama Central Committee, he responded to Liburd and Newton advising that both contestants would be disqualified based on their interpretation of the Rules of the Senior Kaiso Contest. The nine Calypsonians going up against reigning King will be Dis anDat, Charis D, Astro, Daddy Nature, Sookie, Pupa Wheeler, X-Man, Murray and Nutsy.